Yep, you read right! None other than Kim Diehl! 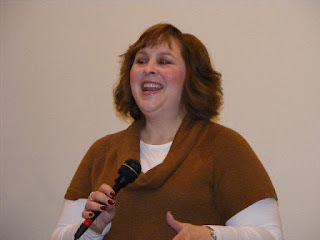 Kim was the guest speaker at my guild, Franklin County Quilter's Guild. Gosh, what fun! It was wonderful to be able to see her quilts up close. They are all stunning! 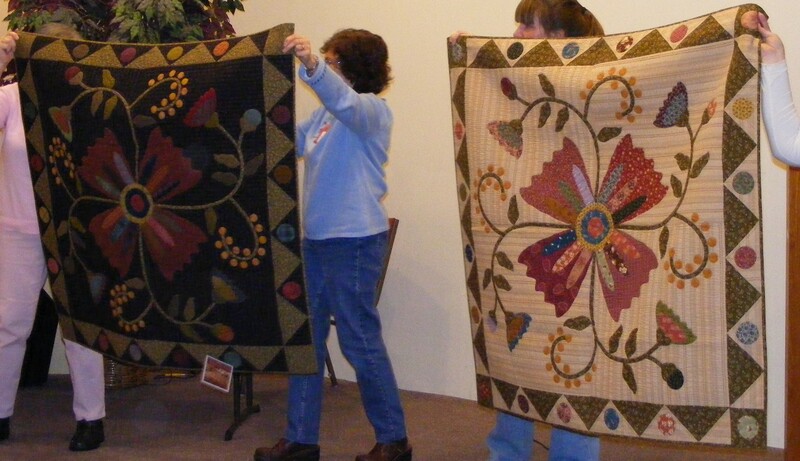 Her trunk show consisted of a variety of quilts from each of her publications, including her most recent book. It is called Scrap Basket Blossom! It is a pattern that was published in the Australian Quilter's Companion magazine, Volume 36! I don't recall if it's hand or machine appliquéd, nonetheless, it's beautiful! Sadly, I do not have the magazine. Stonehouse publications has sold out! Sigh! Anyway, all of her quilts were stunning! I love her style! I also had the opportunity to take the two (2) workshops she was offering on Invisible Machine Appliqué. 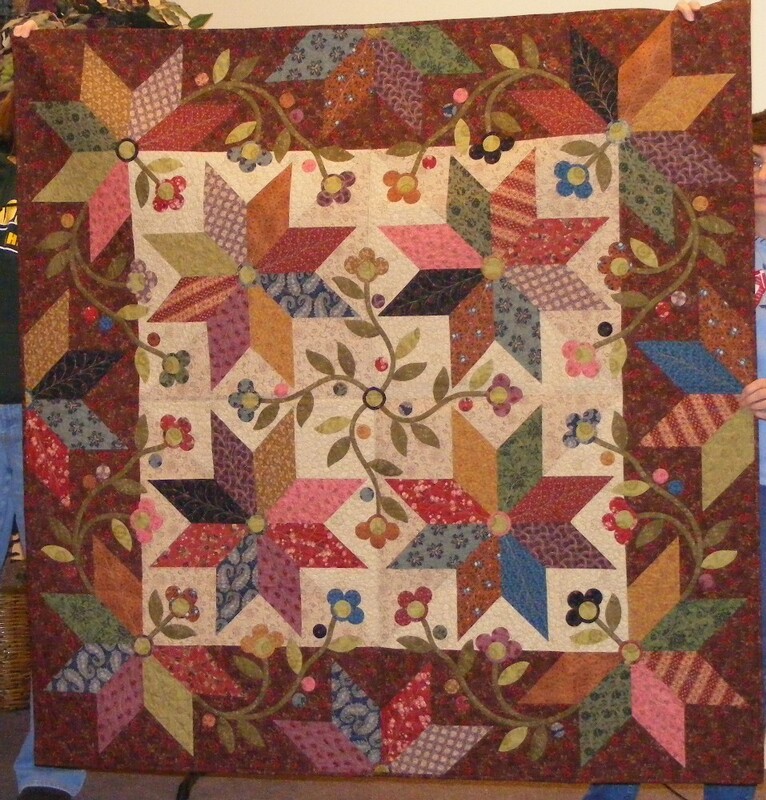 The first workshop was on her Mocha Star quilt. This pattern is from her book Simple Comforts 12 Cozy Lap quilts! I'm not sure if I'll complete this project! However, I certainly enjoyed learning her method for doing eight pointed stars! I may tackle it in the near future! It would make a nice souvenir of the Kim weekend! 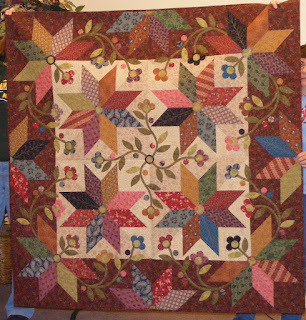 This pattern is from her latest book Simple Graces - Charming Quilts and Companion projects. Both quilt versions are stunning! I chose to make the dark version. It's presently folded away in a drawer waiting for me to pick it back up again! I have all of Kim's books! There are so many projects I could make from each book but ..... for now I just enjoy looking them at them and being inspired! What a great time it was! I would recommend that you take a class with her. She's an amazing quilter! Oh... and quite entertaining too! I enjoyed hearing the stories that went with her quilts! Thanks for stopping by! I hope you enjoyed reading about my time in a workshop with Kim Dielh! Cheers! What a great way to pass some time...Kim Diehl is fantastic! I will look and see if I have that magazine...will let you know! 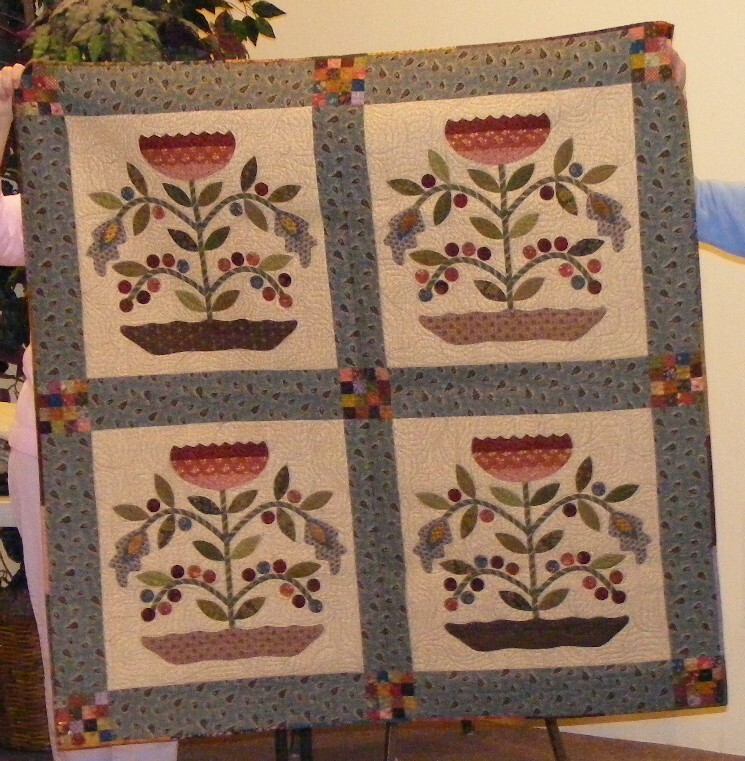 Hi Carole, there is a quilt show here in April and there is usually a stand selling back issues of quilting magazines. I will keep my eye out for that one for you. It is a beautiful quilt. I've just found your blog. Thank you so much for share this moment with us. I love Kim Diehl's books. I'll come back soon to see your finished quilt ! You lucky girl....I love her quilts. Have all her books and lots of them on my do to list. Lucky girl. I'd love to take a class or two with Kim. I own every book and have made several of her quilt. I love her style. I do love her quilts and style. I have a few I like in the better homes and garden mags. There are just too many patterns I want to make, need to start working on some and organize my time better. This week, I am cleaning out my room, so I can get in there and work more efficiently. 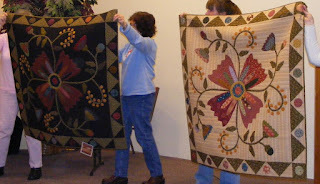 I took a class from Kim in June 2009 and getting to see all her quilts up close was so awesome! It really gets you motivated to go home and sew. I"ve always loved her books too! I love that quilt you showed not in her books. Darn that it is sold out. What a great time you had! When I read posts like this one, I feel that there is so much to learn that a life time is not enough! I love Kim Deihl's stuff! It sounds like you had a wonderful time. That quilt from the AU magazine is beautiful -- I think that's a favorite for me too. I took one of her classes a few years ago and really enjoyed it, although, my project is sitting in the UFO pile. I like the projects you did much better than the one we did. Oh well, I did really love her machine applique method -- if I could just get around to doing some of it! Lucky guild. I love Kim's style and I have several of her books but have yet to make any of her patterns. One day.